Extended MLTC offers a robust network of community based services from internal clinical staff members and through health care service provider agreements with local agencies and care givers. Both our staff and our carefully selected providers have been enlisted due to experience in MLTC provisions of care and have cultivated successful care giving relationships in a variety of cultures and communities served in our program. All of our providers have successfully satisfied the NY State Department of Health credentialing process. All Care Management services are provided directly by Extended MLTC RNs, while outlying services can be selected by member choice from our proceeding network of providers. Please refer to your Care Manager with regard to authorization and your Plan of Care. Members are encouraged to call your Nurse Care Manager for all inquires and scheduling, however, some of your benefits and services can be coordinated directly. For ALL General questions regarding the network of providers available to you, scheduling or covered benefits, please call 1-855-299-6492 and ask for your individual Nurse Care Manager or press 0 for member services. Your Extended MLTC Plan benefits include services and providers which are located within your community. Extended MLTC utilizes additional networks offering you greater provider options and direct access to schedule services. The following provider networks are now accepting your Extended MLTC insurance. Superior Vision - Network of eye care professionals to assist in exams, lenses and frames. Healthplex - Network of dental professionals to assist in routine and specialty oral care. 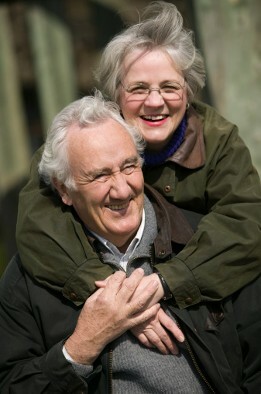 HearUsa - Network of audiology professionals to assist in exams and purchasing of hearing aids. Logisticare - Network of transportation professionals for all of your medical appointments. REMEMBER – YOU CAN ALWAYS CALL EXTENDED MEMBER SERVICES AND ASK TO SPEAK WITH YOUR CARE MANAGER – 1-855-299-6492 !!!! Our Provider Network includes thousands of various health care professionals for your selection. Should you not see a current provider of yours, please let your care manager know and our member services team will do our best to get those providers in network.